As part of my ongoing use of the Cube as an installation platform I have become increasingly reliant on the pedestal as the object of focus within the cube. Often the pedestal is tortured in some way: bound or suspended. In this version Ionic I jams the pedestal through the rear wall of The Cube, questioning the integrity of The Cube as sacrosaint space. 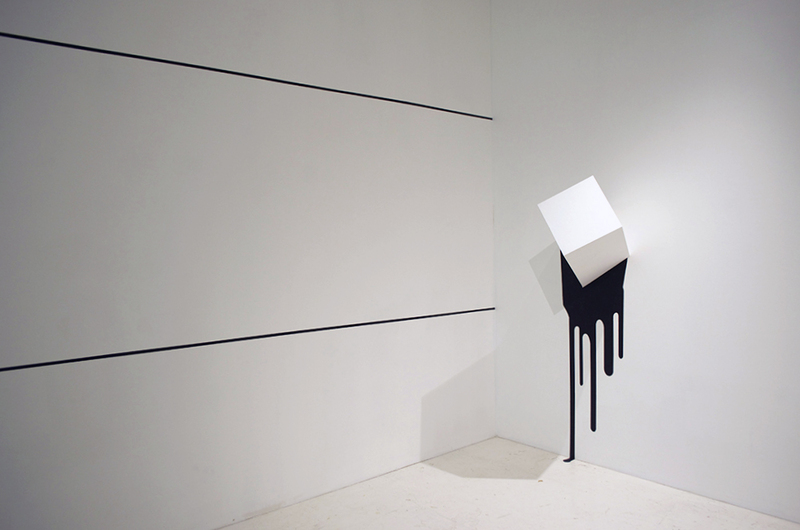 By breaching the walls the pedestal has attempted emancipation, yet even the violence of this action is easily altered into a mediated action within the context of The Cube. In Ionic II there is further indictment of the pedestal by referencing the classical ionic column as a diagram of collapse. By projecting the continual flipping of the ionic column onto the site of the pedestal breach there is a reference to the failure of theory where it is interrupted by actualization or emotion. 20 Apr	This entry was published on April 20, 2013 at 4:48 am. 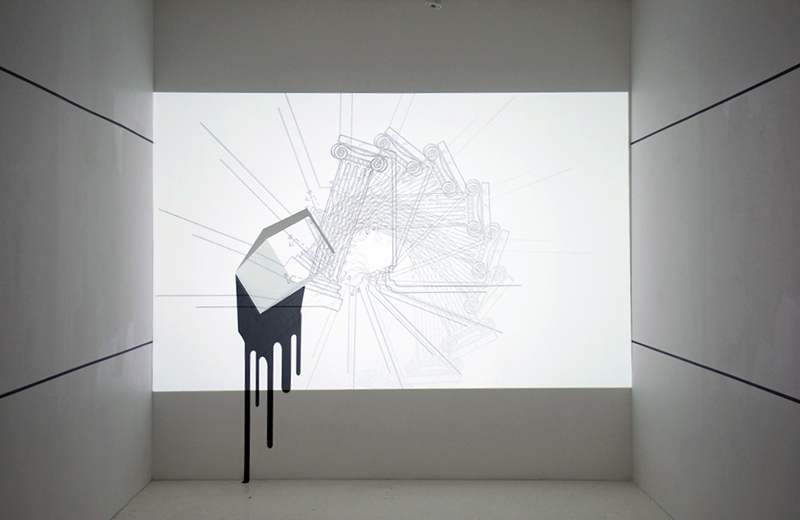 It’s filed under Art, The Cube and tagged column, cube, installation, ionic, pedestal, ryder. Bookmark the permalink. Follow any comments here with the RSS feed for this post.